Feeling alone after walking into a room full of people is a daunting experience. 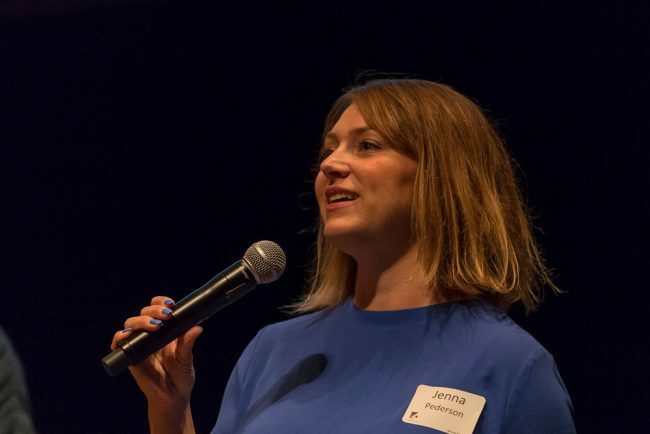 Jenna turned that feeling into her call to make tech more inclusive. Working in an industry where she was outnumbered, she spoke up and invited others to join her. She helped create welcoming spaces and opportunities for others to step up and be seen. 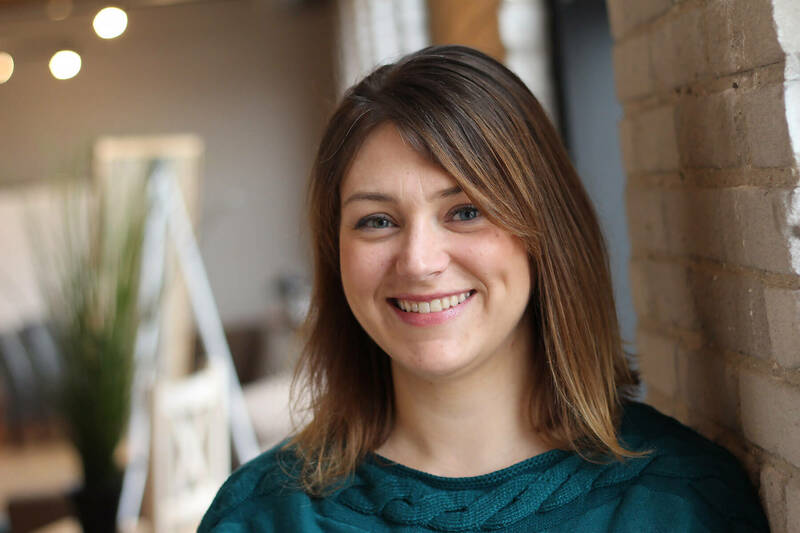 Jenna is the founder of 612 Software Foundry, is a board member of Minne* (dedicated to connecting the Minnesota technology community and promoting high tech entrepreneurship), and was a co-founder of Hack the Gap. What initially drew you to technology? In high school, a family friend who worked in electronics sales left an extra computer monitor in our basement. My dad ended up getting what was probably a 286 to pair with it. And that’s when I started playing around with minesweeper, AOL (screen name loislaane), and MS-DOS. At some point, MS Publisher came along and I was creating newsletters (probably for my baby-sitting clients)! I can still hear the dial-up modem sound as I connected to AOL as loislaane. Where did your passion for inclusion in technology come from? I felt very alone and isolated as I started becoming more involved in the tech community. I was attending and presenting at local conferences and events. I made (good) friends with those who were there, zero women at the time, but felt something was missing. It took me awhile to realize what that was. 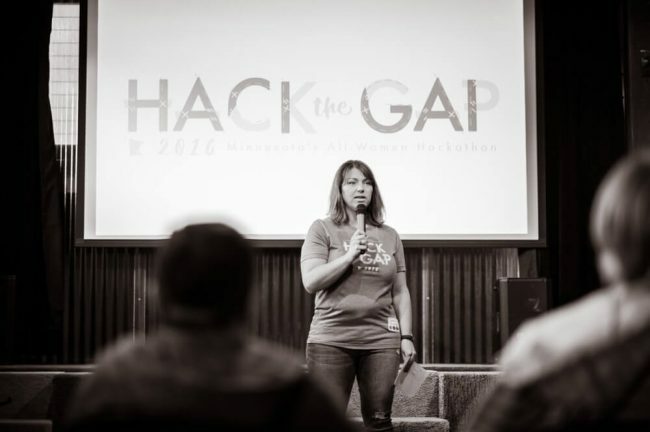 It was at a time when there were zero (that I knew of) women in tech meetup groups in the Twin Cities. There were a handful of them elsewhere that I followed on Twitter: Girls in Tech and Girl Develop It being the main ones. I knew at some point I wanted to be a part of a non-profit board or something doing good for the world and this seemed like a logical thing to be a part of. I wanted to combine my passion for mentoring and helping others learn and embrace technology with needing my own support group. What intentional choices did you make to start making a difference, and why? I started attending some of the few women in tech groups in the Twin Cities trying to find my place and my people. It took a long while and I’ve come to learn that even though there are a bunch of different groups, they all have their own personality and values. They’re really complementary to the other groups doing what many think is the same thing. Leading the Twin Cities Geekettes sort of fell into my lap as a recommendation from a friend. I later went on to lead the group with that friend, Kristen Womack, for two years. That group interested me because it was less networking focused and more about doing tech. It gave me and the community of women around me a space to do what we love without bias, stereotyping, judgement, or intimidation. The networking aspect was there, but it felt much more like a community of like-minded women. It wasn’t a monthly event where I exchange a business card with someone. That was something we did intentionally, and it’s been pretty cool to see that grow. Hack the Gap was a natural extension. We continued seeing women around us who wanted to build their own apps, products, and ideas, not just chat about them. We created space over the course of a weekend with mentors and collaborators. This gave them permission without bias, stereotyping, judgement, or intimidation. How do you balance (your 9-5) work with doing good? Are there any specific things you use or do that have helped you maintain that balance? Well, it’s not 9-5 because I run a small business, 612 Software Foundry, and that’s a 24/7/365 kind of gig! My main trick is tracking all my time. It could be running my business, client work, Board work, events, volunteering, even networking meetings. This way I can see where my time is going and have a concrete reason for limiting it if I need/want to. I’ve also started opening up some of my Friday mornings for “office hours.” Anyone can grab a 30-minute time slot to chat about what they’re working on or what they need help on. It’s helped me to limit my time for “I need to pick your brain” requests. But it also left me feeling like I’m able to connect with people in this space and offer mentoring. You’ve gotten more involved in tech, and have become a big advocate for inclusion in tech. What has been your biggest personal challenge in this journey? Self-care. I’m a workaholic in anything that I’m passionate about. Sometimes I don’t say “no” enough and 2017 was my year of “no”. It felt really good and I’m continuing that theme in 2018 and being more selective in what I say “yes” to. Tracking my time for everything actually helps with saying “no”. It gives me a concrete reason for doing it, whether I share that with the person asking or not. If you haven’t tried it yet, it feels really amazing to say “no” to something. Do you have any key mentors or advocates that help you? How do they help you as a leader? I can’t really say that “so and so is my mentor and we meet monthly to talk”. I realized this last year that I haven’t really thought much about this for myself in years. I’m trying to be more intentional about this, finding specific people I look up to and setting up a time to meet, even on an informal basis. I have a group of friends that I look to on a regular basis for advice and help on certain aspects of tech or community building or running a business. This group is specifically people I’ve become good friends with at a coworking space. We’re all running small businesses. We’re up against some similar challenges, and are passionate about it. We’re all kind of complementary in the services we offer and who we work with, so we’re able to lean on each other for support (or venting over a beer) when needed. As for advocates for what I’m doing in the diversity and inclusion and community building space, I can’t name all the people who go to bat for me. I am so grateful for those who believe in what I’m doing. They step up and promote what I’m doing or volunteer their time to help out in a way that still creates space for those who need/want that community. How has your focus on inclusion in tech changed you? 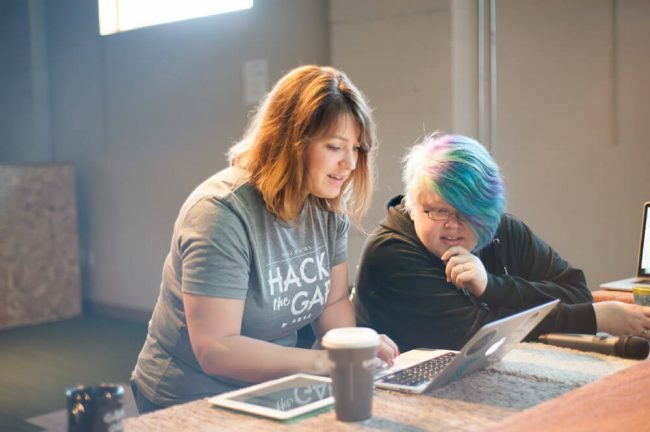 How has the shift in inclusion and diversity in the tech community changed since you began? Where do you hope it will go in the future? I talk a lot about how we need to stop talking about the problems and start doing something about them. In the last year or so, I’ve seen the conversation change from “What’s the problem? Why should I care?” to “What can I be doing differently or better? How can I be a better ally?” I do believe understanding the problem is critical to solving it. But we need to move past the talk and do the hard work that is currently falling to so many marginalized folks. It’s hard, exhausting, draining work, and it often falls to marginalized folks. We all need to take responsibility for it because that is the only way that it will be sustainable and effective.